The past month has included the usual "stuff of life", from convalescing partners to losing a favorite animal to sad deaths in the community to the long East Coast heat wave. While I still have been listening to the piles of CDs and mp3s that clutter my desk/desktop, writing time has diminished sharply. As for the listing part, there was a week where Miles Davis's "In a Silent Way" and music from the John Coltrane Quartet (concentrating on his Atlantic releases and the new Impulse "Lost Tapes.") That concentrated listening took place in mid-June but, since then, my ears have enjoyed a number of new albums including the two recordings below. 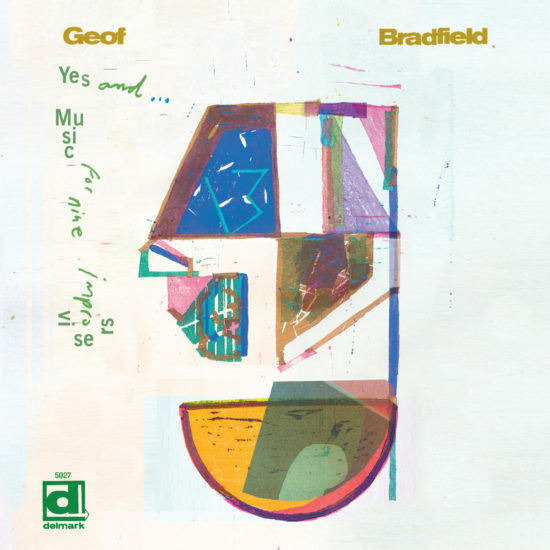 For his seventh album as a leader or co-leader, saxophonist and composer Geof Bradfield moves on to the Delmark Records label from successful stops at Cellar Live and Origin Records. "Yes, and...Music for Nine Improvisers" is a "concept" program with four pieces for nonet and four for four different trios. Utilizing his high-energy rhythm section of bassist Clark Sommers and drummer Dana Hall, Bradfield creates a number of different scenarios for the ensemble. 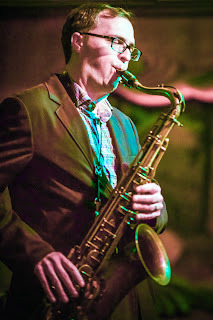 "In Flux" shines the spotlight on guitarist Scott Hesse even as it builds color options for the brass work of trumpeters Marquis Hill and Russ Johnson plus trombonist Joel Adams as well as his fellow reed players, Anna Webber (flute, bass flute, tenor saxophone) and Greg Ward (alto saxophone. Note how the arranger weaves his bass clarinet into the ensemble lines as well as Ms. Webber's expressive flute. What the composer/arranger accomplishes on the nonet pieces allows the music to breathe even as the ensemble move in and out of written material into improvisations. The long opening theme section to "Impossible Charms" gives Bradfield the opportunity to utilize all the voices, setting up a series of solos from himself, Adams, and Hill (especially on fire here) that are occasionally punctuated by the reeds and brass to play pieces of the opening theme. "Anamneses" (defined as recollections - the word is plural - from a supposed previous existence) opens with statements from Webber's bass flute, Adams's expressive trombone and the handsome section writing (led by Johnson's clear trumpet tones). Webber's flute solo over the expressive percussion and rippling guitar chords opens the piece even further. Johnson's solo is a fascinating tour-de-force, expressive, exploratory, thoughtful, and powerful. Listening to the final track without looking at the title of the piece, I immediately thought "Brazil." "Forro Hermeto" (inspired by and dedicated to Brazilian genius Hermeto Pascoal is imbued with a lightness of spirit - one hears it in the delightful rhythm section work, the fun give-and-take between guitar and trumpet that culminates with both soloing at the same time. Webber and Bradfield step out from the short full-band interjection to present their own call-and-response. 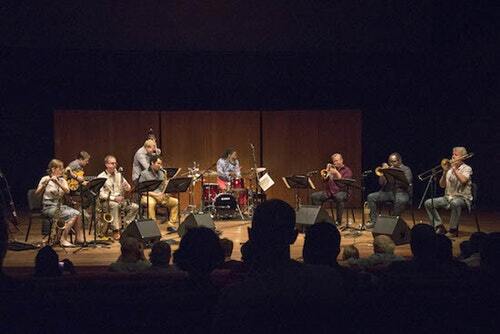 The piece has a lightness yet still retains the adventurous spirit of the other nonet works. The four shorter pieces for trio combinations include the opening "Prelude" that is a hard-driving sax-bass-drums romp that lights the fire for the proceedings. "Chorale" combines the two trumpets with the trombone for a darkly beautiful classically inspired piece. "Ostinato" is a work for guitar with bass and drums with all three overdubbed to great effect. "Chaconne" is the last of the trio pieces. Composed for soprano sax (Bradfield), Ward's alto, and tenor (Ms. Webber), it's also classically oriented and attractive. "Yes, and..." is inspired by the improvisational techniques created by Chicago's Compass Players in the mid-1950s whose comedy skits inspired the work of Second City and other experimental troupes. Geof Bradfield also cites his studies of French composer Olivier Messiaen's variety of ideas about rhythm, melody, and harmony on his preparation of this material. 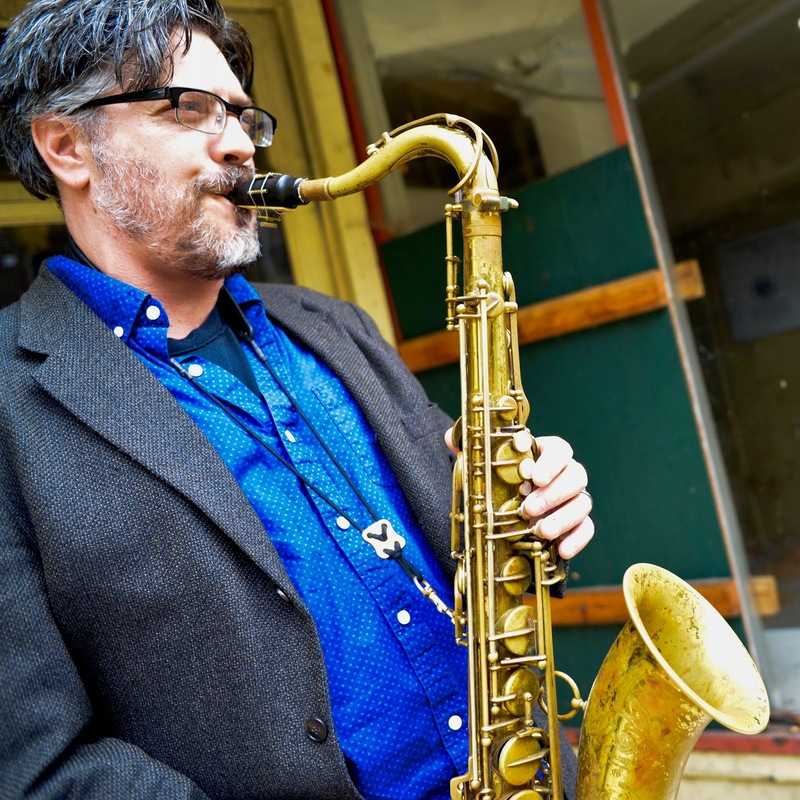 Over the course of the saxophonist's career, he's paid tribute to Melba Liston, to Leadbelly, to bebop and mainstream jazz, and the inspiration of African rhythms. One can see that this new album is a continuation of all of his studies, his maturity as a composer and arranger, and his desire to continue searching. We who listen closely reap the rewards of his adventurous musical mind. For more information, go to geofbradfield.com. 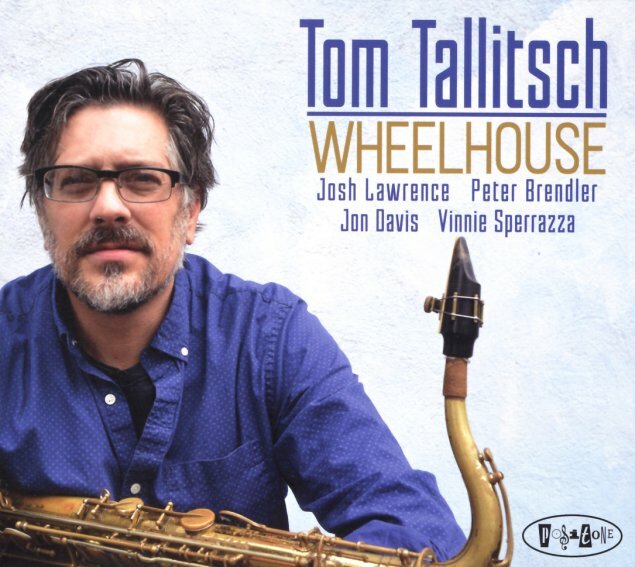 For his fifth release on Posi-Tone Records, "Wheelhouse", tenor saxophonist and composer Tom Tallitsch has gathered a strong assortment of musicians - Jon Davis (piano), Josh Lawrence (trumpet), Peter Brendler (bass), and Vinnie Sperrazza (drums), all leaders in their various groups - and let them loose on a nine-pack of originals that tempt the listener's ears and mind with fine melodies and excellent improvisation. It helps that the rhythm section is quite strong, from Davis's sparkling accompaniment and fine solos to Brendler's "foundational" bass work (not to forget what a melodic player he is), and Sperrazza's adventurous work at the drum set. 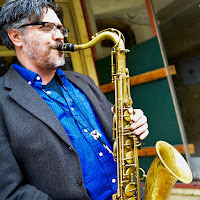 The leader enjoys sparring with his rhythm section: those interactions on such songs as "Schlep City" and "Red Eye" makes the listener feel as if he or she are in the middle of the band watching as the musicians push, prod, and dance with each other. One cannot miss the sound of the blues that permeates certain tracks. "Paulus Hook" (named for the waterfront area of Jersey City, New Jersey across the Hudson River from Manhattan) has a sweet, slowly swinging, feel with a handsome melody (note pianist Davis's lovely elaboration around the tenor and trumpet at the close of the tune). The one real ballad on the album, "One for Jonny", opens with a long, lovely, piano solo before Tallitsch enters with the sweet, wistful, melody. Lawrence shines on his part, so lyrical and clean, his articulated notes creating a fine musical portrait. The piece, written with Davis in mind, opens up for allow him to dance atop the gentle brush work and spare bass lines. There are really no weak tracks on "Wheelhouse." The program closes with the aptly-titled "The Crusher" and "Gas Station Hot Dog" (the two tracks that surround "One for Jonny"). On the former, the quintet explodes from note one on a journey that roils and rollicks thanks to the propulsive drum work and the exciting bass figures. Davis absolutely rocks (he always plays as if he is having the "best time ever"), Lawrence's trumpet dances with glee (goosed on by the rhythm section), and Tallitsch flat-out swings! On the album's final tune, one hears a funky beat and melody reminiscent of Herbie Hancock's "Watermelon Man" - the listener may not be able to contain a laugh or two as the quintet hits the groove, as the soloists ride the "boogaloo", and the cares of the day wash away. Need a sonic break from the endless waves of negativity that seem to batter one from all sides. Dig in to "Wheelhouse", enjoy what Tom Tallitsch and his creative companions have created, and have a good time. For more information, go to www.tomtallitsch.com/about/.